"Chup," meaning "Hush" in Urdu, aims to raise awareness about the pertinent issues impacting Pakistan. Last year, Shahbaz Hamid Shigri and Aisha Linnea Akhtar of InCahoots Films brought us Sole Search, a short independent film that introduced viewers to the world of the Jinnah Boy. Yes, the Jinnah Boy. For those of you not from Pakistan’s capital, Jinnah boys are an intrinsic part of the Islamabad fabric – the guys that hang around Jinnah Market sporting slicked-back hair, loud knock-off designer clothes, and oft-cringe-worthy comments for passing ladies. In Sole Search, an American born Pakistani meets the quintessential Jinnah Boy, Candy Bhai (played by Ali Rehman Khan). Hilarity ensues. [After Sole Search] We realized we weren’t quite done with Candy and his world. Sole Search was always an experiment. It was quite amateur, rushed, and I was a lot less experienced and knowledgeable on the whole process at the time… I don’t think [Gol Chakkar] really is a sequel. Candy Bhai is in it, but that’s about it. It’s a feature film with seven new characters. We just wanted to expand on what we thought was a pretty nifty idea the first time. Gol Chakkar will be released late this summer, and filmmakers Linnea and Shigri want you to be entertained. As the co-founders of InCahoots Films, they already have other projects in the pipeline, including music videos for artists Uzair Jaswal and Adil Omar, a short film called, “The Little Master,” featuring Hasan Bruun Akhtar from Gol Chakkar, as well as their next big project. Needless to say, it’s a busy year ahead for InCahoots, a name Linnea came up with to reflect the founders’ real-life relationship and ability to work extremely in sync with one another. Both directed and produced the film, while Linnea wrote the screenplay and Shigri was the cinematographer. Both were basically a two-person crew, supported by a cast who have all acted together and known each other for some time (several also starred in the recent film Slackistan). You could say that type of magic can be likened to a Judd Apatow-style approach to film making, in which cast and crew are part of a family-style collaboration, and chemistry is genuine, organic, and comes from a very real place. 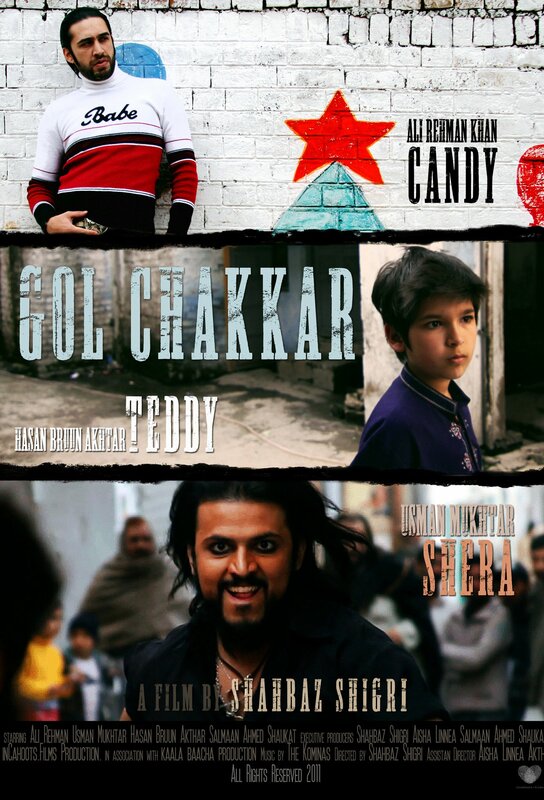 To keep updated on Gol Chakkar’s release, become a fan of their Facebook page by clicking here. (You can click part 2 after watching the first part). Excited to see the movie! HAHA looks like a funny movie.. i so recognize those characters! Pakistan: Unity, Faith Discipline or Faith, Unity, Discipline? Pakistan Chat on Who Watches the Watchmen?